When we started planning our next Open House we could not imagine a better way to celebrate summer than to have local craft beer and our incredible caterers participating in our 1st ever BBQ cook off. We wanted to give our couples and their guests the opportunity to choose the winner and they have spoken! 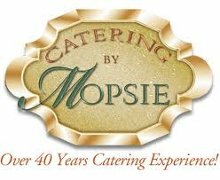 Congratulations to Catering by Mopsie for taking home top prize for Best BBQ!